Your business needs to be on Twitter. Twitter is where the conversation is happening—right now, in real-time, all the time. Does a customer love your product and wants to tell the world? News is breaking that affects your brand? Want to know what the world is talking about? Just tune to Twitter. Over 500 million tweets are sent daily from over 284 million active users. When you want to know what the world is talking about, just check out the trending hashtags in your Twitter feed. Twitter for business is not an option; it is a necessity. Feeling confused on how to begin tweeting and building your business brand on Twitter? 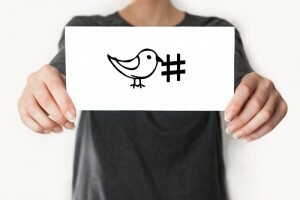 Here are the four things you need to know about Twitter for business and how you can get yourself trending in a heartbeat. 1. You need a Twitter Account. If you haven’t already gotten the drift: You need a Twitter Account. Twitter is not just the playground for college students and newsies. Tweets move billions of dollars on the stock market. Tweets turn followers into customers. Twitter is where you network with clients. It is where you join the global conversation that happens 24-7. 2. Make Your Username and Profile Work for You. Tweets are restricted to 280 characters and your Twitter username will take up some of those 280 characters when someone mentions your name. The best practice for creating a twitter for business handle selection is to pick something short, simple and easy for a user to type. Avoid using strange symbols. Stick to your brand as much as possible. Also, build your Twitter profile with your location, links to your website and creative, informative profile and header images. 3. Tell Everyone You Have Arrived! Include a link to your Twitter profile in your email footer, on your business cards and on your website. Include easy “Tweet This” buttons on all blog posts, so your customers, clients, and readers can automatically share and link back to your Twitter profile. 4. Tweet, Follow and Join the Party. Begin tweeting—share news about new products, participate in #FollowFriday (or #FF) to grow your network, follow and tweet at brands and experts you love, share meaningful content, retweet news you think is informative and join a Twitter party or two. Be consistent with your Tweets. You can consider using an outside social media service such as HootSuite, to organize and schedule your tweets in advance. Just like at a cocktail party, using Twitter means making small talk not standing in a corner avoiding conversation. Twitter can be a valuable tool in growing your business and reaching out to potential customers. Want to learn more about using Twitter for business? Call Farotech! We specialize in helping companies grow through a variety of digital marketing and social media techniques, including Twitter. What is SEO for Physical Therapists?